Most horse lovers can never have too many books about their favorite animal. 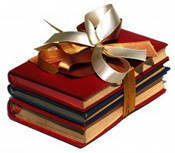 That said, books make a pretty good (& educational) last minute gift if you haven’t finished your holiday shopping yet. As a writer I’m a firm believer that books are an important part of life. When I was a kid if I wasn’t riding I was reading & I hope to pass that on to future horse loving generations. Here is a great list of horse books that any horse person will love. For each one I’ve provided a brief description, a link to where they can be found on Amazon and a peek inside where available. For horse lovers of all ages & skill levels to learn more about horse anatomy. Complete with medically correct terminology & lifelike drawings, learn anatomy as you practice your talent. A must have for every horse lover, this book is a great reference for toxic plants. It turns out there are a lot of plants horses shouldn’t eat & this guide provides pictures, descriptions & potential symptoms. This useful guide is easy to navigate & full of information about equine ailments/ problems. Includes alternative therapies, detailed guides to anatomy & a well-organized glossary. A must have for every horse owner or caretaker. A guide to managing horses in small quarters & offers practical advice for keeping your equine happy. An emphasis on sustainable practices & land stewardship this book helps horse owners to understand & meet their animal’s needs. Don’t let the title fool you, this book is full of down-to-earth advice & practical tips for horse people of all skill levels. Whether you are a newbie wanting to see what they are in for or an old hat who wants a handy guide. Written by riding expert Gincy Self Bucklin this is a guide developed to help adult riders create a relationship with their mount. Full of innovative & practical knowledge/ tools to help you relate to the equines. An amazing story of a father’s love for his autistic son & the healing power of horses. This book takes you on a journey to Mongolia, one of the oldest horse cultures on the planet in an attempt to reach a 5 year old boy. Written by Joe Camp this is a book for horse lovers of all types & ages. A book about discovery, relationships & the noble existance of our favorite animal, Joe actually makes you love the equine animal more. The Tao of Horses translates to ‘the way of the horse’ & this is a book about a woman’s journey of healing & transformation through the way of the horse. Written by Linda Kohanov, the owner of Epona Equestrian Services in Arizona. Drawing upon her years around horses, Linda Tellington-Jones is a successful author of of 6 books already. With warmth & humor she will guide you through physical, mental & emotional characteristics of the equine animal. A lovely addition to any coffee table this handsome picture book takes you around the world to look at the most amazing horse lodgings. Will almost make you wish you were a horse yourself. Next week I’ll feature a gift idea round up that covers all of the collections I’ve come up with and other ideas shared by readers & friends on social media. For now be sure to check out some how to draw horse books too. This entry was posted in Equine Products on December 10, 2010 by The Equinest. yep I have the coloring atlas too, it’s great!